Pyrmont Harris Street pontoon is better known as the sugar room. 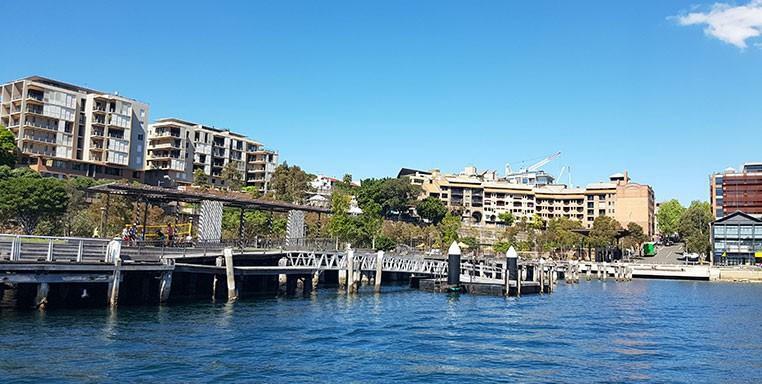 The pontoon is located at Pyrmont Park, close to the new Pyrmont waterfront apartments and Zebra lounge Restaurant. This destination is ideal for boarding your luxury water taxi to explore and take in the sights of Sydney Harbour. Leave the hassle of the city traffic and site back and relax on your private water taxi. See the Harbour Bridge and Opera House as you make your way across the harbour by water taxi to your favourite waterside Restaurant, for corporate events or that special treat why not do it in style with Majestic Water taxis Come and see Sydney the easy way by booking a luxury water taxi tour. When you book your tour you can simply can ashore to all the famous places in the area. Call us and tell exactly what you want to see and do in Sydney, and leave the rest to us. We’ll make sure you love every second of your water taxi trip.